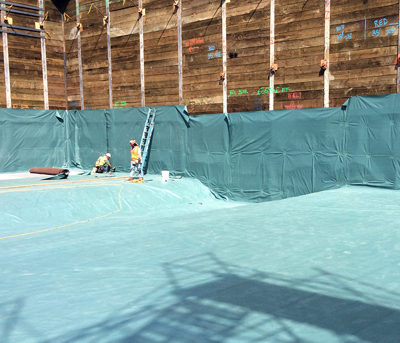 EPRO offers three ECOFLEX fluid-applied air barriers, both permeable and impermeable, which are designed to control air leakage into buildings. Each is water-based, provides exceptional bonding and good tensile strength, and may be applied to a variety damp substrates. 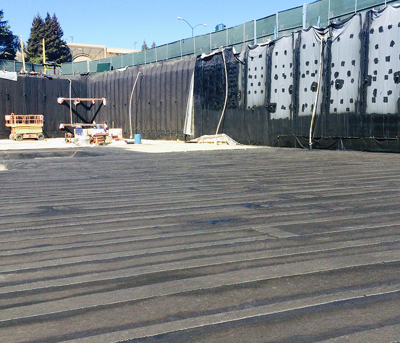 ECOFLEX-S is an anionic bituminous/asphalt emulsion modified with a blend of additives that is spray-applied to produce a monolithic membrane as an effective air and moisture vapor barrier. 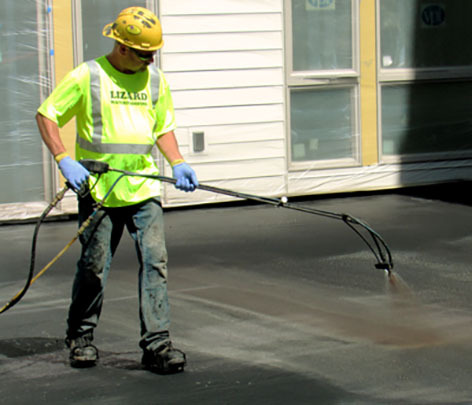 ECOFLEX-R is a medium viscosity, polymer-modified anionic bituminous/asphalt emulsion that can be applied by roller, brush, or sprayer to produce a monolithic air, moisture, and vapor barrier . ECOFLEX-PS is a medium viscosity, copolymer latex emulsion that can be applied by roller, brush, or sprayer to produce a monolithic vapor permeable air barrier.